On Saturday at dinner with my host family, we were talking about my host brother’s trip to Europe. Someone mentioned that he was going to Istanbul, and the two Europeans at the table (German and Ukrainian) mentioned that they, as women, would never travel alone in Turkey. Having just returned from what was partially a solo trip to Buenos Aires, I started thinking about solo traveling as a woman. I haven’t done it much, and only in places where I speak the language. I don’t know if I would go on an Egypt holiday alone or even travel anywhere that I didn’t speak the language by myself. I know you can meet people on the road, but the only reason I felt safe going to Buenos Aires alone was because I knew the language and culture very well. That being said, these are some precautions I took the days I was by myself in the capital of Argentina. 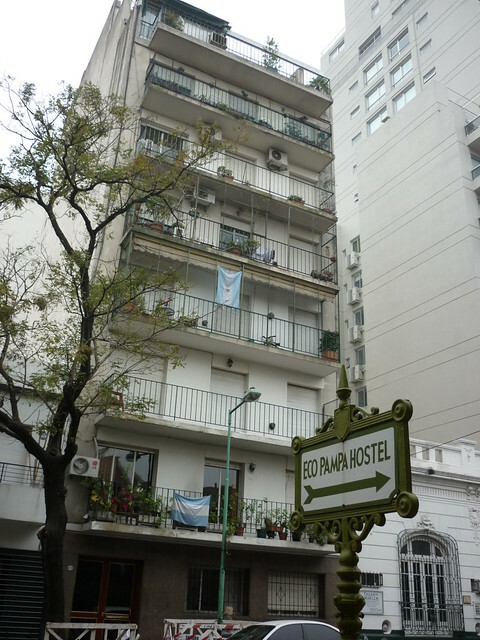 My hostel was located in Palermo Soho, a great neighborhood. I wanted a safe location fairly close to public transportation. Everyone I talked to recommended that I stay in Palermo, so I found a hostel in Palermo Soho, four blocks from Av. Santa Fe, a main avenue with lots of buses and a subte stop. Palermo Soho looks far from downtown Buenos Aires on a map, but by subte I was there in 10 or 15 minutes. I felt really safe in the neighborhood, but I always stuck to the main streets, especially at night. There are lots of restaurants and bars and little shops, and there was a lot of movement even really late into the night. Luckily, fashion in Chile vs. Argentina isn’t all that different. I wore boots instead of sneakers, sweaters instead of college sweatshirts, and wore a purse instead of a backpack. I didn’t feel like I stuck out at all, except maybe when I took out my camera and started taking pictures of things. But I could easily blend in and wasn’t a walking tourist target. I have a strange ability to be able to tell when a situation isn’t right. On Sunday, I went to the San Telmo market. I had walked in on Calle Defensa, and wanted to walk out a different way. I looked on the map and saw a street that would take me to where I needed to get the subte. I started walking down to the street and all of a sudden there was nobody around. It was creepy. I turned back and went down a different street that had lots of people milling about. 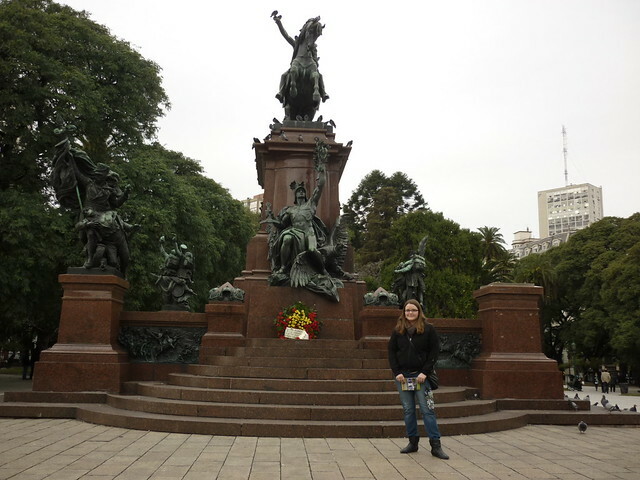 Another time, a man in Plaza San Martin asked if I wanted my picture taken. He seemed trustworthy so I acquiesced. He then started asking me for money for some “charitable” organization. It smelled like fraud to me, but I didn’t want to anger him, so I passed him AR $2, which is less than US $0.50. He asked me for more, but I explained that I was a student and didn’t have more money. He believed me and walked away. Four years of living in a city has taught me a lot about how to act and what things to do and not do. Like, I didn’t carry a ton of money around, I wore a purse that crossed my chest, I didn’t stay out really late by myself, I locked my valuables up in the hostel locker, etc. I think that solo travel can be refreshing and rewarding, and I hope to do it again someday. This entry was tagged Buenos Aires, Solo Travel. Bookmark the permalink. I’m so glad you’re being really sensible about travelling alone, hun. 🙂 It sounds like you definitely know what you’re doing. I guess coming to Mexico was my first experience travelling alone *and* in a country where I didn’t speak to the language or know the culture. That was pretty overwhelming at first but it definitely helped me with my confidence a lot. It’s true, traveling alone is a HUGE confidence builder! You’re brave for going to a country where you don’t speak the language.